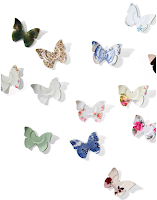 I´m in the mood for butterflies. The weather has been really wonderful this week and, although I didn't really have the time to enjoy the sun; it does make the world just a little bit better. Also, my father's birthday is coming up and he has a thing for butterflies. 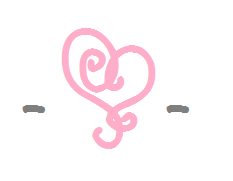 He sees them as a symbol for a new beginning, a fresh start: hope. 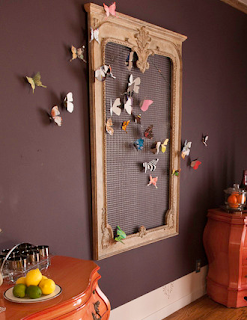 He has his house filled with beautiful butterflies. 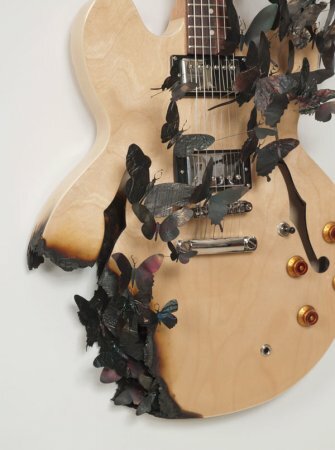 So, it all made me think of adding the butterfly to my interior and I started to search for some inspiration. 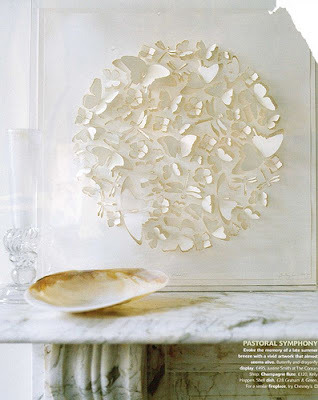 To spread the real spring fling-feeling and to make your home a lively space, here are some ideas to decorate your interior with butterflies. 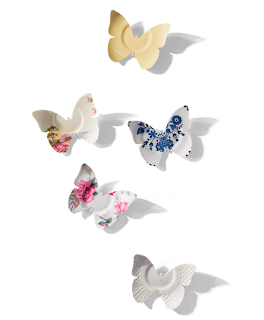 These butterflies are made out of little saucers..! 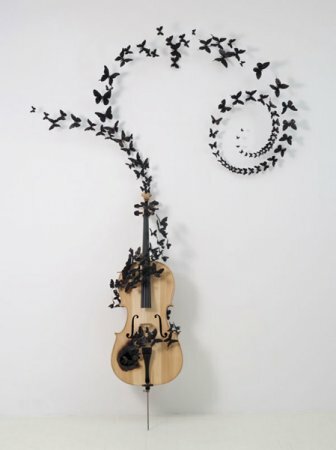 The butterflies on the picture below are made of old records. If you look closely, you can see little butterflies on the wall and on the ceiling. 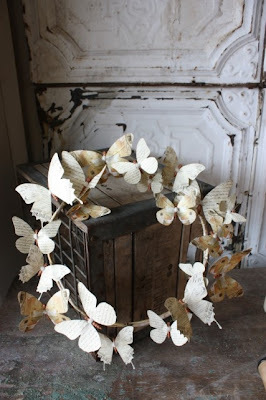 The wrath on the picture you can buy, but you can also make it yourself by using an old book, old pictures or a newspaper and cutting out butterflies. I might give this a try. 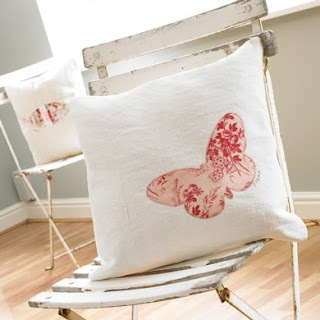 I love the white paper butterflies below the picture with the pillow! It looks really pretty.